— Denise Donlon providing inspirational leadership around Canada’s 150th birthday. Canada Crush episode 11 is with Denise Donlon, a Canadian business executive, television producer, host, and member of the Order of Canada. 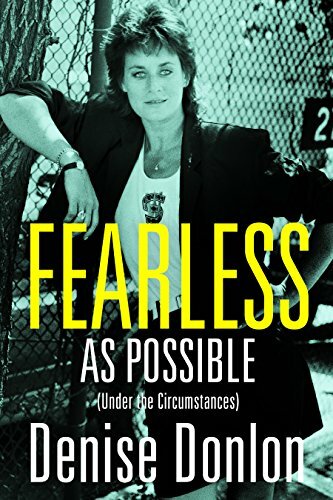 The backdrop for this interview was Denise’s recent memoir ‘Fearless as Possible (Under the Circumstances)’. Every Canada Crush interview has been a blast producing and with each new guest I feel we are digging deeper and deeper into their work, their personal journey that crowns them with great Canadian status. Denise was no exception, as her openness and engaging personality made the 60 minute interview fly by. I literally felt like we were just getting started. I am so thankful to Denise for her time and perhaps above all, her wonderful Canadian way and spectacular humanity…. · Canada’s opportunity to become a true world leader around diversity, gender equality and business leadership. · Work hard, keep pushing for what you believe in and if all else fails wear a mouth-guard! · Understand all aspects of a business; profit/loss, distribution and know your customer. · Business leadership starts with embracing and valuing your employee’s. · If life isn’t fun, make it fun!